So here you are, looking for the best lawn care companies in Grafton, Ohio! Good news, you can browse through all the best companies here in one spot. Read through these brief descriptions, visit their websites, and maybe ask for a few quotes, then boom! You just have to pick the company that right for you and hire them. Really weigh all of the options (not just price!) and pick the right company for you because whoever you hire is going the visit your home often and become your partner in creating and maintaining a beautiful and healthy lawn. MK Maintenance - MK Maintenance is one of the local lawn care companies in Grafton, Ohio. This professional lawn care company has been around for nearly two decades, serving Grafton and surrounding areas. They offer full service lawn care, landscaping, and when the heavy Cleveland snow hits the area, they have you covered with winter plowing services as well. Some of the professional lawn care treatments and services that MK Maintenance provides are lawn mowing, aeration, fertilization, spring and fall clean up, and more. They boast about their affordable prices and superior service. Call for a free estimate and find out for yourself if MK Maintenance is right for you. Sherman and Sons Lawn Care - Sherman and Sons Lawn Care is a family owned and operated lawn service company run out of Valley City, Ohio. They have over ten years of experience performing professional lawn maintenance to Northeast Ohio communities. With a wide array of services and treatments, some of the ones offered are aeration, weeding, fertilizing, tree trimming, lawn mowing, seasonal clean up and more. They also offer many other services outside of lawn maintenance, including hardscaping, gardening, back and front yard design, removal services, and snow control services. Palmer’s Lawn Care Inc. - Palmer’s Lawn Care was established in 1998 and has been owned and operated by the Palmer family ever since. 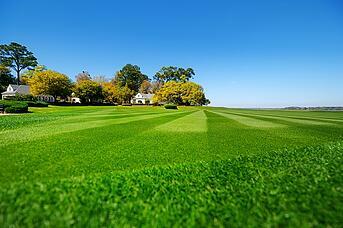 They are professional lawn contractors with license, certified, and insured maintenance technicians. Palmer’s Lawn Care designs and builds yards, landscapes, and patios with a professional team that has years of experience. Some of the lawn maintenance services offered by Palmer’s are lawn mowing, weeding, edging, and seasonal clean up. Additional services that may be handy to you are lawn grading, snow removal, de-icing, and lawn installation. Palmer’s Lawn Care offers free estimates to all of their clients for their services and to custom design and build their next yard. Alpha Lawn Care Inc - Alpha Lawn Care is one of the working lawn care companies in Grafton, Ohio. They started their business in 2001, and now they have a team of professional lawn care technicians that have an average of 15 years of experience. They offer a variety of lawn care services that they proudly provide to their clients. Some of the services include fertilization, weed control, pest prevention, aeration, seeding, and many more. Alpha offers vegetation control to maintain parking lots and roads to keep growth away from the surfaces. They serve residential and commercial properties with their professional lawn care team. Canon’s Lawn Service - Canon’s Lawn Service is a small family owned lawn care company in Wellington providing service to Grafton, Ohio and surrounding areas. They have been around since 1999, with almost two decades of experience in the business. Lawn services offered by Canon’s are lawn maintenance, tree installation, fertilizing, mulching, spring and fall clean up, lawn mowing, and more. Their motto is “you grow it, we mow it”, so you can bet they know how to mow a lawn. They also install natural hardscapes and do snow removal services in the winter. Look for Canon’s Lawn Service driving by in a smart car! Weed Pro Lawn Care - Hire the right pro with Weed Pro! One of the best lawn care companies in Grafton and other Cleveland suburbs, Weed Pro specializes in professional lawn care. Our lawn care technicians are certified and licensed with continuing education to make sure to they have the best knowledge to treat your lawn right. Professional treatments and services include lawn aeration, weed control, seeding, pest and insect control, tree and shrub maintenance, and more. We offer free lawn care estimates and unparalleled customer service. Estimated prices are based on the square feet of your lawn so you know you are getting a fair price. We can discuss the details and agree on a final pricing that works for you. A local company providing quality professional service for nearly 2 decades, we know and love Cleveland lawns. Our customer service team will always take care of you. Call customer service for any issues and we will resolve the problem as soon as possible. Weed Pro serves not only residential lawns, but also commercial lawns and landscapes as well. Let Weed Pro be your partner in making your business or property look sharp. Weed Pro treats your backyard like our own!